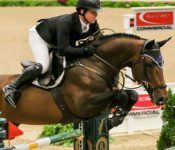 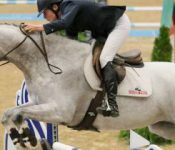 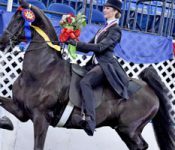 Lexington, Ky. – Nov. 4, 2016 – The CP National Horse Show featured a different style of show jumping competition on Friday evening with the $35,000 Salamander Hotels and Resorts Accumulator Class CSI4*. 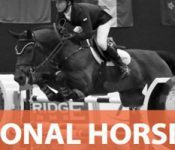 Local groups were invited out for “Barn Night” to watch as Leslie Howard (USA) and Peter Howard’s Donna Speciale took the top prize of the evening. 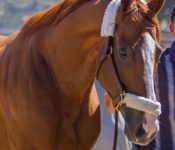 Arrogate/Hoppertunity – Hall of Fame trainer Bob Baffert’s Breeders’ Cup Classic duo both galloped 1 3/8m Friday morning under exerciserider Dana Barnes.